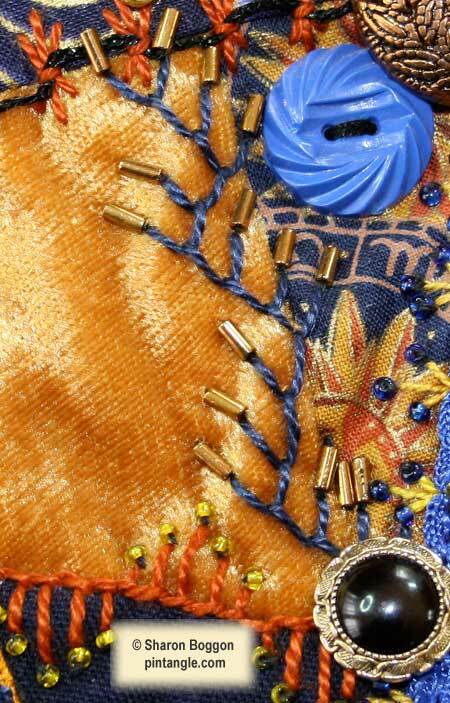 This hand embroidered seam detail of my I dropped the button Box Crazy Quilt. Click on the thumbnail to be taken to a description of the block and a free pattern. 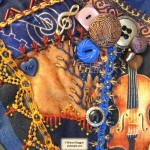 The detail below is a stitch that is a favourite of many crazy quilters. It is feather stitch worked in cotton perle #5. To the end of each arm I added a bugle bead. 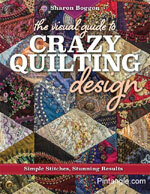 The patterns for each block of this quilt are free. This article is part of a series that highlight the hand embroidered seams and Crazy Quilt details on my I Dropped the Button Box quilt For a free pattern of the block visit the web page about block 83 and for the rest of the blocks see the list on the CQ details FAQ page.